Why Can’t I See All My Fans? There are many schools of thought floating around about why a Page owner cannot see all of its Fans. Some say it’s because Facebook will only show you up to your first 500 Fans. 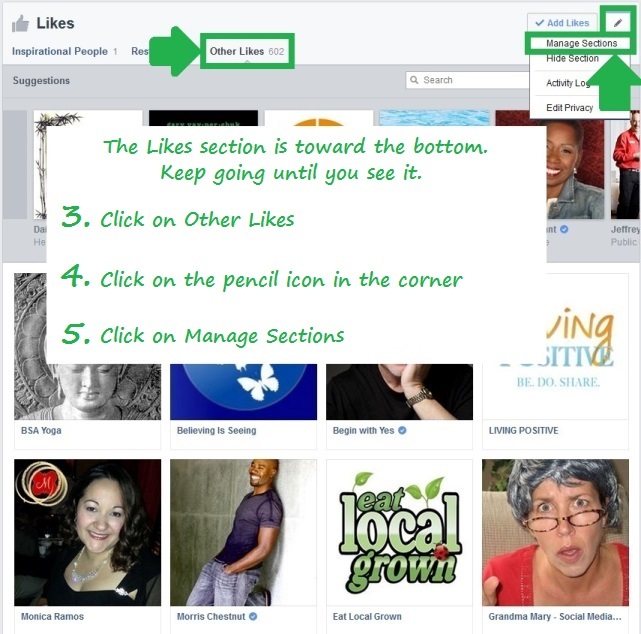 Some say you have to use the Graph Search as opposed to just clicking on See All Likes. 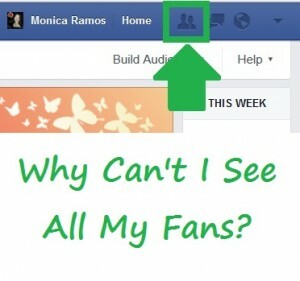 But the real reason you can’t see ALL your Likes is due to the privacy settings of your Fans. 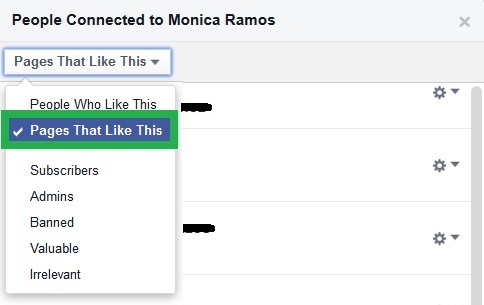 If a Fan has his/her privacy of “Other Likes” set to anything other than Public, chances are you will not be able to see them in your list of Likes. Let’s take my brand new Facebook Page as an example since I just started it and it has very few Likes (easy to count for this demonstration). I will scroll though my list by clicking on See More until I reach the end of the list and the option to “see more” is no longer available. Counting all these Likes I came up with 89. But I have 138 Likes. So where are the other 49? 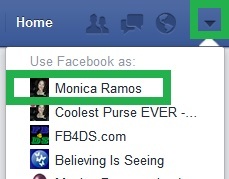 When I do a Graph Search for “Fans of Monica Ramos” I get a more detailed list. I even have the option to filter my list. This comes in handy when you need to clear Fake Likes from your fan list. I will go over that in my next post when I cover how Like Exchanges, Like Ladders, Buying Likes, and not removing Fake Likes hurts your visibility on Facebook. Unfortunately, doing it this way I counted only 80. Most often I hear that the Graph Search results in a higher number of Fans than the first method I tried, but in my case the opposite was true. 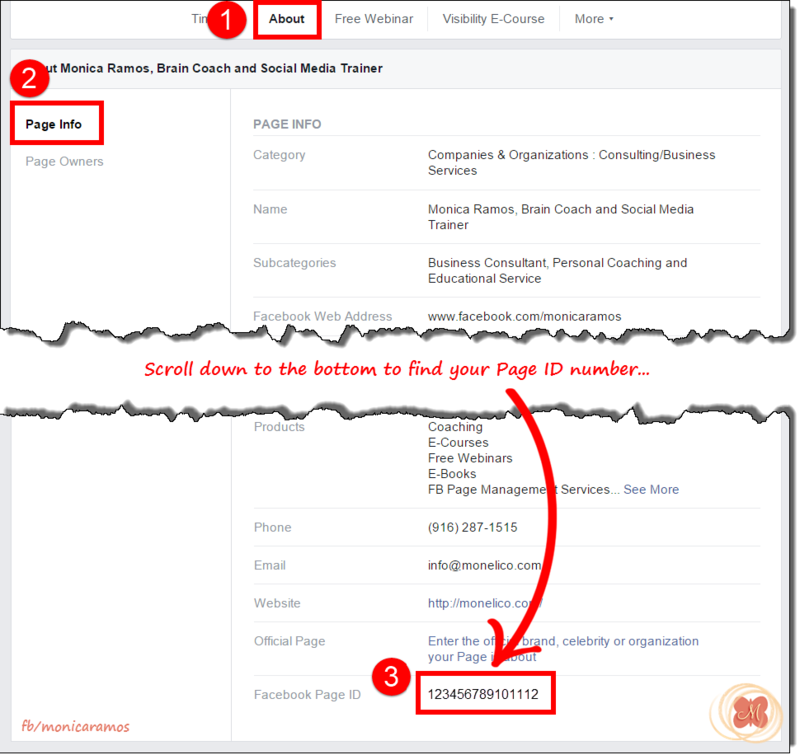 You can get your Page ID number by clicking on the About tab of your Business Page, then Page Info (it should default to Page Info), and scrolling to the bottom. You can get this number if you are logged in as your Business Page, but you will get a better result (longer list of Likes visible to you) if you are logged in as your Personal Profile. I will explain why in just a bit. 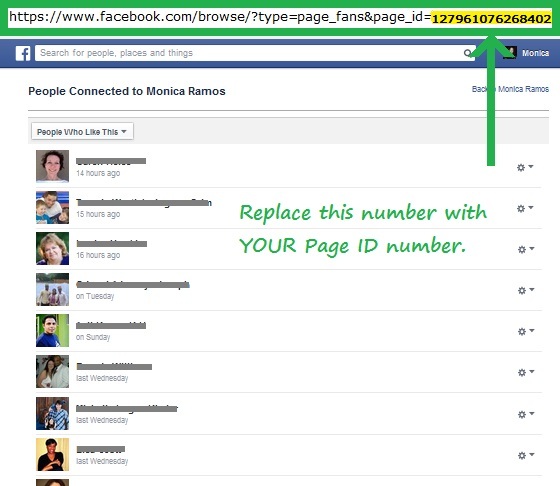 Below is a screen shot I posted on my Facebook Page recently [UPDATED for new layout April 2015] to show people how to find their Page ID number, especially if they have a vanity url and it is not showing in their Page url. There are several ways to get this number, this is just one. Using this method I returned a list of 120 Likes, leaving only 18 Fans unaccounted for. Now before I go on, this is NOT a result of the other 18 Likes being Pages instead of People. 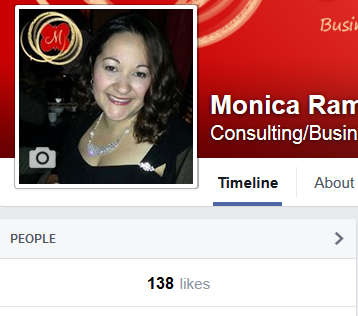 Pages that Like your Page do not count towards the total number of Likes. This does not mean that getting a Like from a Page is a bad thing. It depends on why they are liking your Page as their Page. 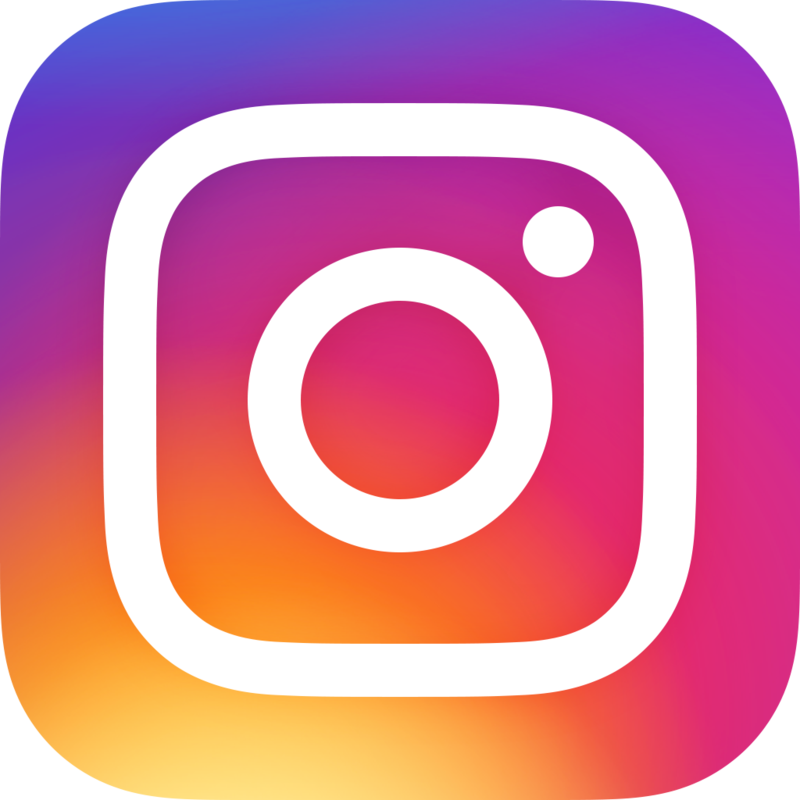 I Like other Pages as my Page so that I can share their content with my Fans who would be interested in the type of Posts they share. I may not do so from my personal account. So, in that case, you are getting more exposure and reach from me if I Like you as my Business Page. Don’t get hung up on the number of Likes. It’s more important that people see your content. And to be honest the more Likes you have from People who are just liking your Page to help you get more Likes, the less visible you are in the News Feeds of all your Fans–even the ones who DO want to get your updates. More about that in my next post. I will place a [link] here when that post is live. So why can’t I see the other 18 Likes that Facebook tells me I have? 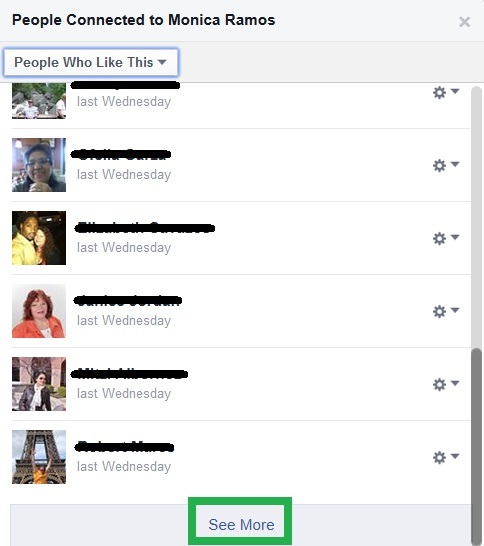 The reason is that those 18 people have set their privacy setting for “Other Likes” to something other than Public. 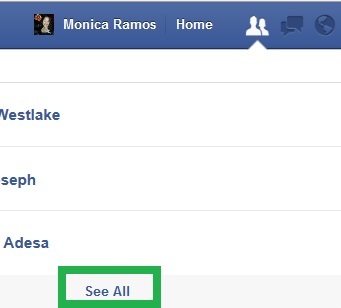 On your Personal Profile you can adjust the privacy settings of all the categories in your About section. The example below shows what I mean. 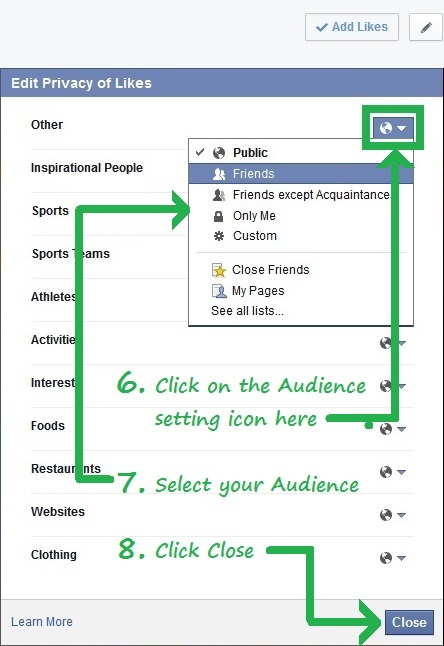 If you set up your Likes section with an audience other than Public, chances are those Page owners will never know you are a Fan (unless you and the Page owner are Friends and your audience settings include him/her). So any of your Fans who have set up this section to not make their Likes visible to you will not show up in your Likes list, ever. Remember how I said I would explain why different Fan totals are generated depending on whether you were using Facebook as Personal Profile or as your Business Page? 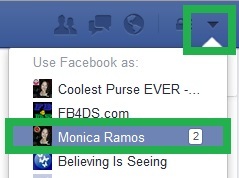 Well, the reason I could see a larger list when logged in as my Personal Profile was due to the fact that some of my Fans are also my Friends on Facebook, and their audience setting for Likes is set to include me (either set to Friends or perhaps a custom list that happens to include me). If this was helpful and you would like to get more tips like this, subscribe to my monthly updates and become a fan of my Business Page. You can also SIGN UP FOR MY NEXT FREE WEBINAR HERE. If you have questions or would like to leave a comment please do so. And please share this with anyone who could benefit. Thanks for tuning in! 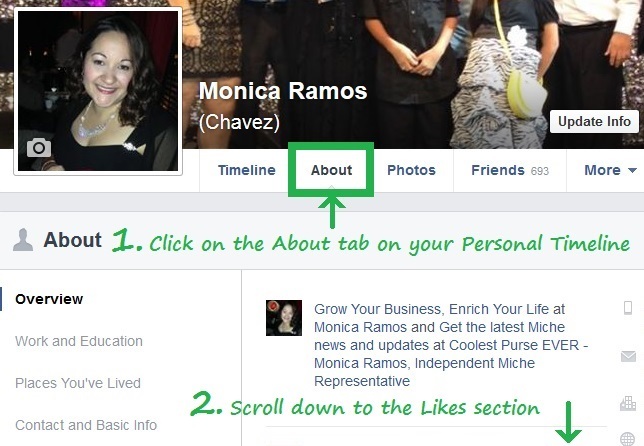 How to Stop Auto Play Videos on Facebook From Eating Up Your Data Like Ladders and Exchanges Make You LESS Visible on Facebook!